slowster wrote: Did you use a torque wrench extension calculator? Any recommendations, as I do like good quality tools. rotavator wrote: Have you tried using a cone spanner, gently? They are thinner than normal spanners. Thanks for the suggestion, but I thought those cone spanners are designed for fairly low torque? I need to tighten the pedals to around 30 newton metre. where to buy a pedal spanner that is 3.2mm thick or less? would this seatpost work turned 180° for forward Offset? 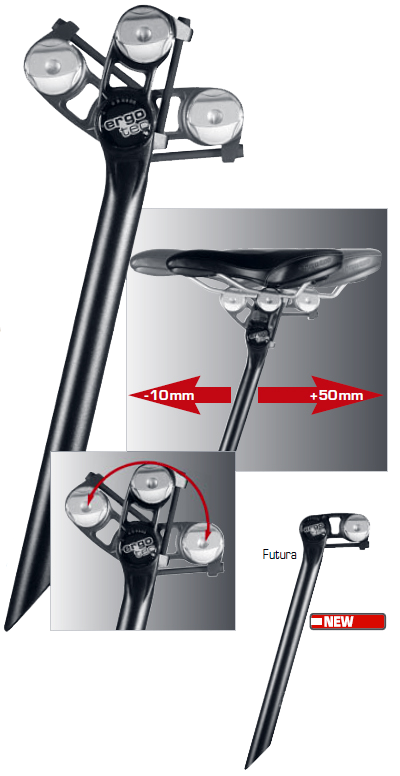 I have been looking at the Ergotec Futura Seatpost shown below. It already offers a forward offset option of 10mm, but could the post be flipped 180 degrees to get a 50mm forward offset? Topic: How can I use this space? Re: How can I use this space?